What Does Code P0856 Mean? OBD II fault code P0856 is a generic code that is defined as “Traction Control- Input Signal”, and is set when the PCM (Powertrain Control Module) detects a breakdown in communication between itself and the traction control module. Note that this code only applies to applications that are equipped with electronically controlled traction control systems. The purpose of the traction control system is to prevent wheel spin on wet or slippery surfaces, and it accomplished this by using the ABS system to apply braking forces selectively to spinning driving wheels. The main advantage of traction control systems is that a driver can maintain full control of the vehicle in conditions where wheel spin could initiate, or aggravate a dangerous condition, such as a slide. In practice, traction control systems use a serendipitous design feature of differentials that makes it possible for the driving wheels to rotate independently of each other. Thus, if a vehicle moves forward (or backwards, for that matter), and both driving wheels have the same amount of traction, both wheels will contribute equally to the vehicles’ motion. However, when the vehicle is steered around a corner, the inside driving wheel slows down, while the speed of the outside driving wheel increases as a result of having to cover a greater distance. The result of the differential wheel speeds is that the torque being directed to the inside driving wheel decreases, while the torque to the outside driving wheel is increased by the same amount, and it is this feature of differentials that makes effective traction control possible. For instance, if a vehicle starts to move off on a slippery surface and one wheel starts to spin, the traction control system will apply a braking force to that wheel to slow it down to match the rotational speed of the non-spinning wheel, and it will do so without the driver being aware that the system is in operation. The selective application of the braking force on the spinning wheel causes more torque to be directed to the non-spinning wheel, and by using input data from the wheel speed sensors, the traction control module is able to match the rotational speeds of the driving wheels exactly several times per second to ensure that the driving wheels contribute equally to the vehicles motion. It should be noted though that while the traction control system is in operation, the control module can limit or even ignore throttle inputs by the driver, or prevent gear shifts if gearshifts (both up and down) can aggravate wheel spin conditions. As a practical matter, the traction control system uses the same wheel speed sensors that are used by the ABS system in addition to all the other ABS components. Thus, while the traction control system can be seen as a sort of ABS system that functions in “reverse”, the system depends on effective communication between all implicated sensors such as the wheel speed sensors, engine speed sensor, throttle position sensor, and various transmission sensors (among others) taking place via the CAN (Controller Area Network ) serial communication system. If communication between implicated sensors and control modules breaks down for any reason, and especially between the PCM and the traction control systems’ control module, the PCM recognizes that it cannot control the traction control system effectively, and it will set code P0856 and illuminate a warning light as a result. It should be noted though that on some applications, the setting of this code could cause the PCM to disable the traction control, stability control, cruise control, and even the ABS braking function, although normal braking will still be available. Exactly which systems are deactivated, or whether or not the vehicle will enter a limp mode when this code sets depends on the application, and of course, on which systems that are fitted to the vehicle. Where is the P0856 sensor located? 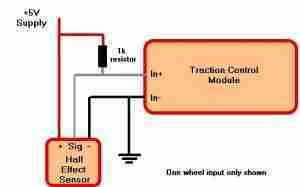 The image above shows a simplified schematic diagram of a traction control system on one driving wheel. 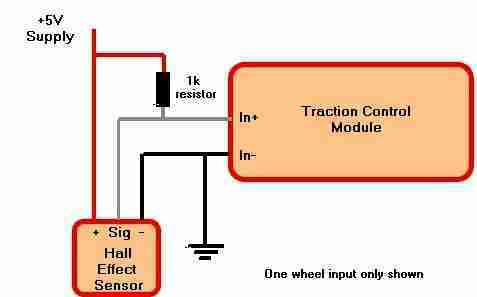 On most applications, the traction control module is integrated into the PCM, meaning that defects in these circuits are generally not user-repairable. If a defective control module is suspected, the better option is to seek professional assistance. What are the common causes of code P0856 ? None found. 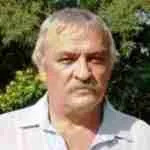 Ask a question about P0856.